It's Spring and Summer is just around the corner, but no matter what season we are in, we must keep our skin moisturized both from inside and outside. There are so many choices out there for moisturizers and sometimes it takes awhile to find the one that works best with your skin. I love having the variety, but so far I've only found one brand that keeps my skin moisturized. I'm now trying the organic moisturizing cream from Tropical Traditions. The fragrance is Baby Silk and it is very different than what I expected. It's not my favorite scent, but it's a very good moisturizer! After rubbing it into my skin, I can tell the difference immediately. It makes my skin feel so soft and this carries me right throughout the day. The best way for me to use this is after a bath and every time I wash my hands! The bottle says to give the cream a minute to absorb into the skin because it has no alcohol! I love that! All too often moisturizers can't work properly because of all the ingredients in them that does not agree with the skin. In the Tropical Traditions Organic Moisturizing Cream, there are no alcohols, artificial fragrances or petroleum! This cream works great and is perfect for all seasons! I should have had something like this during the Winter months! You have the choice of getting scented (with only organic essential oils) or unscented. The 100% pure moisturizing creams are especially useful for very dry skin. Highly concentrated, they work well for overnight use, and are great for massaging into the skin. Here's your chance to try this cream and see if you fall in love with it. Visit Tropical Traditions and let me know something else you'd like to have from their site. This was not a paid post. I received a bottle of this moisturizing cream to make this honest review. See my disclosure. I rarely use moisturizer and not becasue I don't need it. My face seems to break out no matter what I use. If I put moisturizer on my skin and hand especially I get a warming sensation, and the veins in my hands plump up , It's very weird. The best solution I've found is to oil my skin before bathing. I'd like to get some of their coconut flour. I'd like to try their coconut peanut butter. I'd love to have a juicer! The berries have been delicious this Spring and some fresh juice is always a great way to start the day! I would also like to try their lavender coconut soap. Would love to try the citrus moisturizing cream. I'd like to try Tropical Traditions' lavender organic hair oil. i would like their book 'how to raise a healthy child in spite of your doctor!" I'd like to try the powdered laundry detergent. Thanks for the giveaway. I'd like to try the Virgin Coconut Oil. 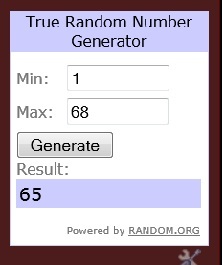 I entered the Pirates giveaway. I would love to try the Lavender coconut soap. 2.I follow you on networked blogs.